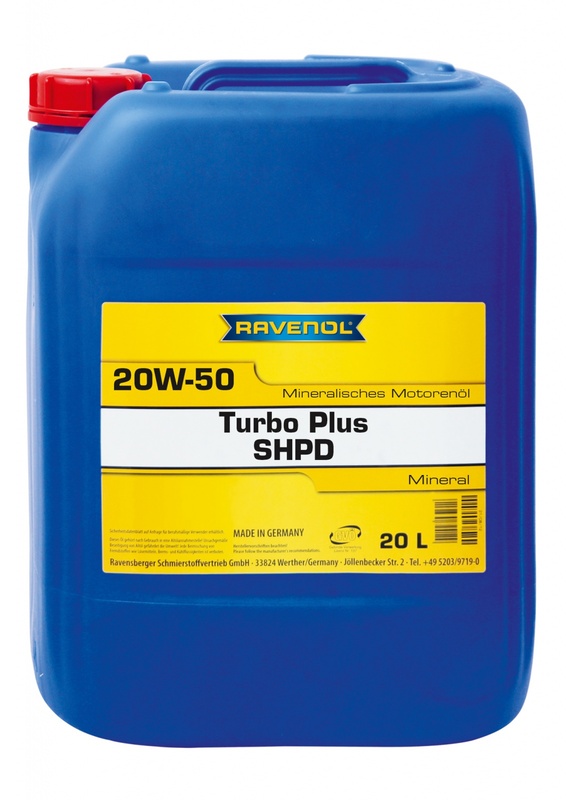 RAVENOL Turbo Plus SHPD 20W-50 RAVENOL Turbo Plus SHPD 20W-50 is a high performance SAE 20W-50 multi-grade oil for use in petrol and diesel engines including turbo versions. It has a good lubricating film which is stable at high temperatures. It is particularly suitable for engines with high performance.